Here's another sweet romance I think you might enjoy! Who doesn't like a Western romance? Anyway Evelyn, the oldest sister, is the heroine in the first of the four stories. Her first misconception was that her sisters would be near her. As an Eastern girl, Evelyn had no idea how far ranches could be one from another. And she'd given her intended no idea that she was bringing a young son with her. Which was fine because he hadn't told her he had a tomboy daughter, nicknamed "Mad Dog," but should have been called Madelyn. That should give you some idea of Erica Vetsch's lively style. 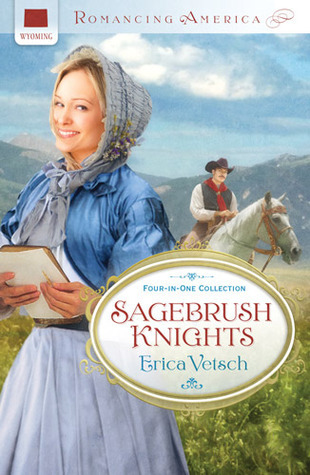 So do you enjoy Western Romance? Sounds like a great read, Lyn. Thanks for the review. I still love to read romance!